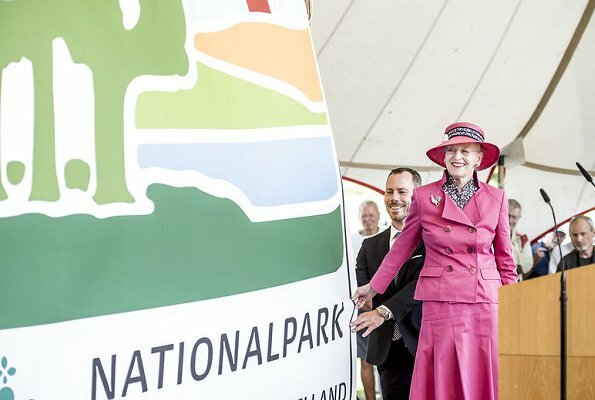 On May 29, 2018, Queen Margrethe II attended the official opening of the new national park in Esrum, Denmark. The ceremony took place at Esrum Monastery. 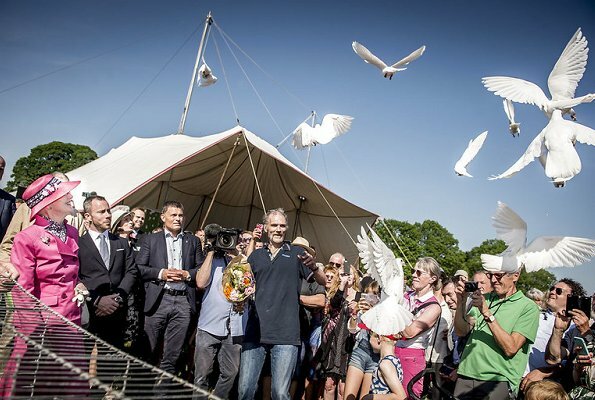 The new national park, which is called 'The Kings’ Northern Zealand' (Kongernes Nordsjælland), will be the Denmark's 5th National Park. Esrum is part of a larger 7,400 hectare Natura 2000 area, comprising Gribskov and a few smaller woodlands nearby. What a perfect outfit! I love the color, the fit, the style with the shaped jacket and flared skirt. Her hat adds the right touch and sensible shoes keep her steady. This is how a queen does her job well and with a big smile! Lovely outfit, pink is a wonderful colour for her. Great news too, the world cannot have too many national parks! Q Margatethe looks lovely in this suit. I am glad she do well after Prince Hendriks death,hopefully life is back to normal again.I believe the Family holidays are really hard on her. 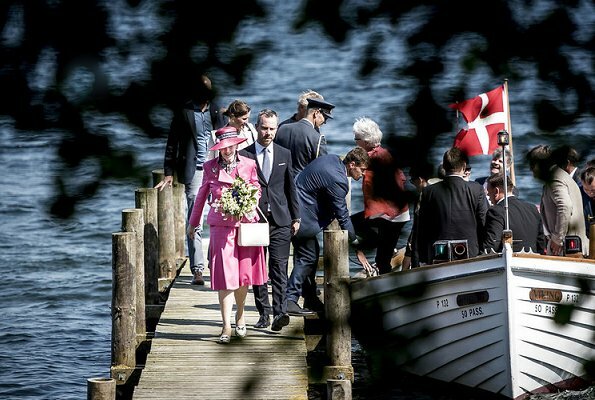 Pink seems to be Queen Margrethe's new favorite color and I can't complain because it is so pretty on her :-). 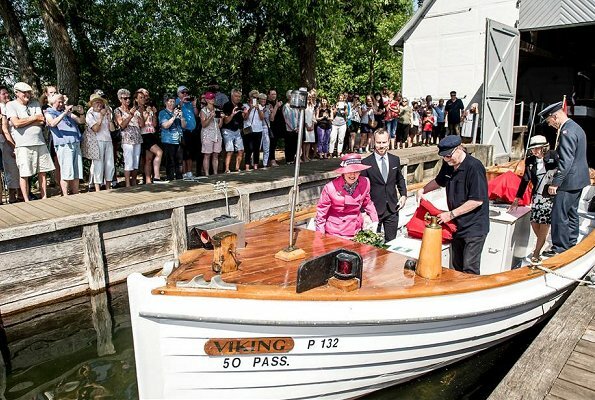 I'm still dazzled by the luscious salmon-pink gown she wore to the 50th birthday bash. If she is still wearing this much pink in six months, I probably will start whingeing :-D But for now, I say You Go, Girl! 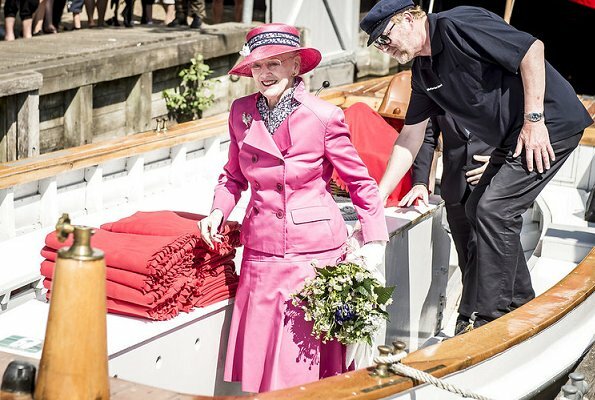 Queen Margrethe of Denmark looks very beautiful. 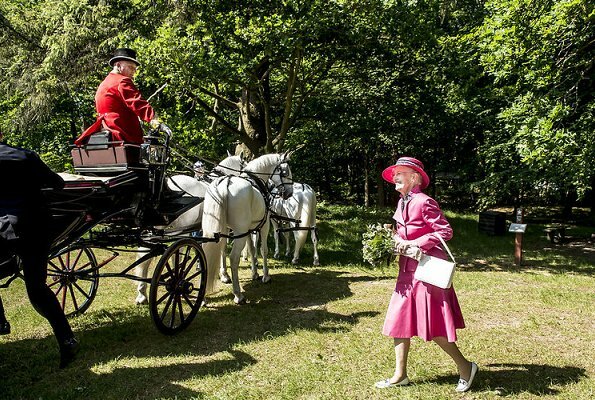 The oufit of the Queen, is very elegant.